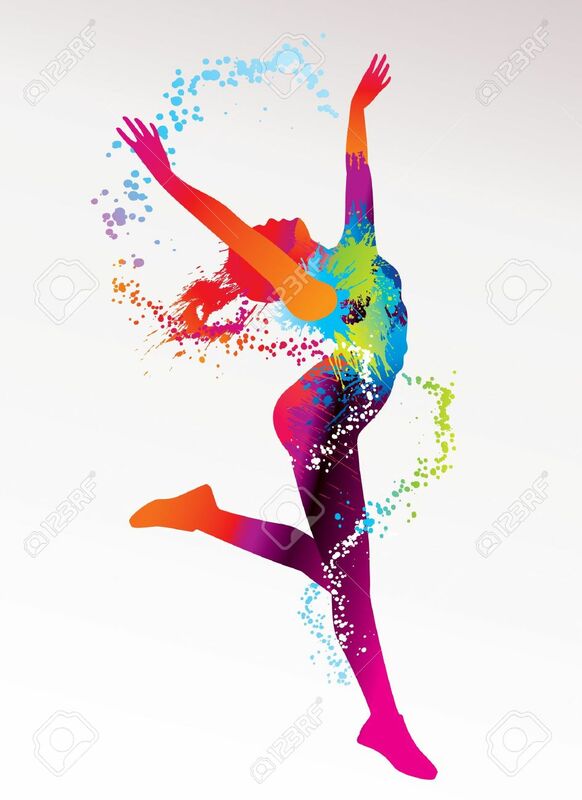 The Dancing Girl With Colorful Spots And Splashes On A Light Background. Vector Illustration. 免版稅剪貼畫，向量插圖和股票. Image 10737729. 版權商用圖片 - The dancing girl with colorful spots and splashes on a light background. Vector illustration.